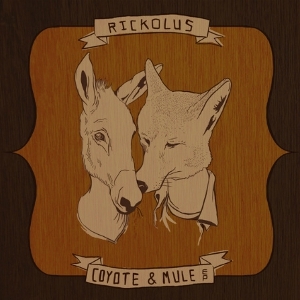 The ideal balance of instrument and voice, RickoLus is pretty much showing off his keen ear for arrangements on this album. Somehow, this man is able to promote the feeling of comfort that listening to your old favorite band brings while playfully flicking your senses with somewhat bizarre sound bytes. The sounds float on the surface of tongue-in-cheek playfulness and when that smiling moment of buoyancy passes, you sink deeper to the heart of the music and instantly begin to appreciate the arrangements of simple instrumentation, melody, and voice. RickoLus left enough room in his orchestration to weave his cool confidence through the tracks. It allows for a trust in the music that enables you to go on the adventures that RickoLus is striving to share. Nine distinct tracks on this album are like chapters to a book. “Something In My Head” (my absolute FAVE), “Candy Blood” (wait, maybe this one’s my absolute FAVE) and “Crazy Lights” are the standout tracks and will likely find themselves on an impressive variety of playlists across the land of the music-savvy.